Are you looking for extensions in East London? Spenwell General Builders offer a broad range of services for extensions and loft conversions in the Essex and Greater London areas (Romford, Dagenham, Chigwill, Woodford, Ilford, Brentwood, East London), with many years of experience working in the community. Are you planning on expanding your house? Have you ever wondered if you could use that extra available space in a different way? 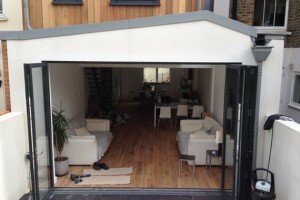 Spenwell General Builders prides itself on the efficiency and quality of its work, and we would be happy to offer you our skill and expertise for any extensions in East London or property conversions. There is a range of things we can do for you when it comes to refurbishments. Maybe you need to add some more room in one area of your house? Maybe you want to finally do something with that attic? We specialize in both one and two storey extensions and loft conversions. We offer expert advice and skills on how to maximize the potential of what you’ve already got and where to take it next. Our twenty-five years of experience is at your service for every kind of intervention you might need or want. If you live in Greater London or Essex, choosing builders near you ensures more personalised attention and quicker access and service. You can count on us for continued and dependable service. We will be happy to come to your property and evaluate your project, listen to your concerns and come up with solutions . Our many years in the construction field has made us not only builders but customer advisors and problem solvers too. We are here to make your desire real in the best possible way using the best possible solutions, at the lowest possible price. If you live in the areas of Greater London or Essex, such as Romford, Dagenham, Chigwell, Woodford, Ilford, Brentwood, East London, we are builders in your local area, working with us carries the many benefits of hiring builders near you. If you’re looking into the prospect of an extension or loft conversion for your London home, simply call or e-mail us with your ideas and desires, and we’ll gladly come by your house for an assessment and evaluation of the price and time needed to complete the job to our highest standards of quality. Evaluations are absolutely free and do not carry any obligation to continue working with us, so you can make any decision in complete serenity once you have all the facts.